Soft, spreading, dark green fronds arranged in a distinctive shuttlecock-like shape. 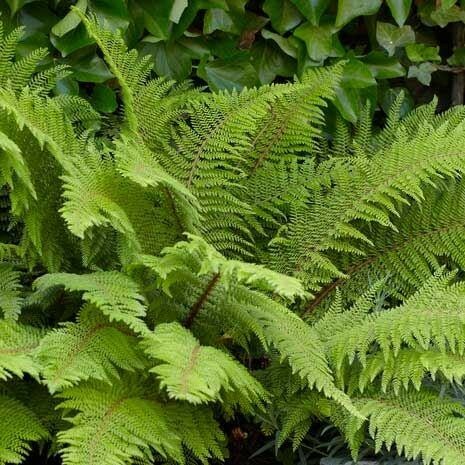 This medium-sized evergreen fern is perfect for providing all year foliage interest for a mixed border in full or partial shade. 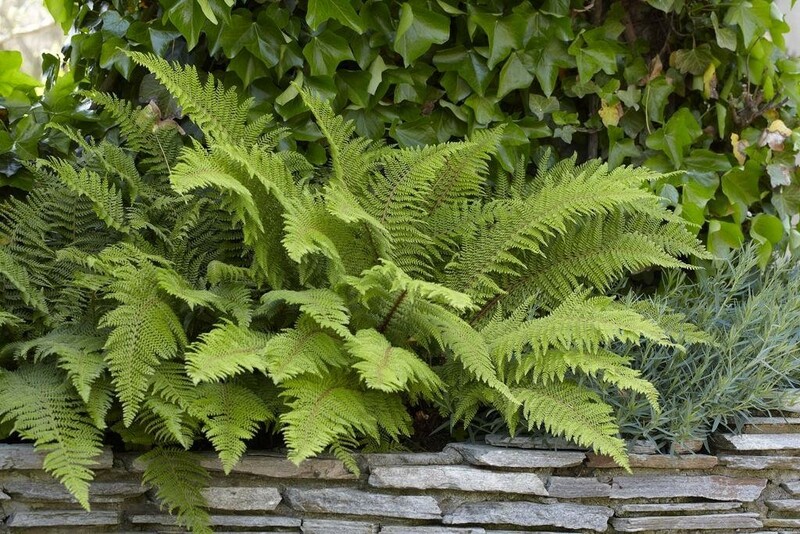 Flourishing in fertile, humus-rich, well-drained soil, it looks most effective planted alongside other shade-loving perennials with contrasting leaf shapes. Supplied in approx 2 litre containers.